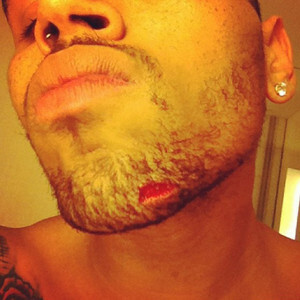 Chris Brown posted a photo on the internet showing a gash on his chin, but what went down? On Wednesday night, Chris and his friends got into an altercation with Drake and his entourage which led to a bottle being thrown at Chris' face. 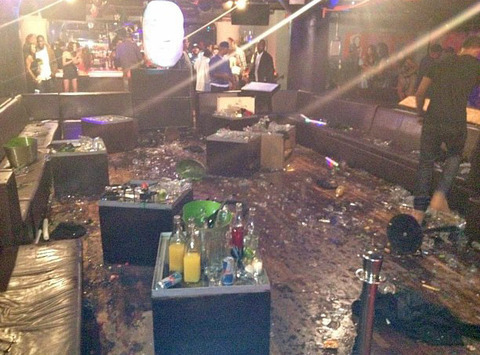 The NYPD confirmed that 5 people were injured in the fight at WIP nightclub. The two stars got away before police arrived and no arrests were made. After the fight, Brown tweeted, "How u party wit rich n**** that hate? Lol... Throwing bottles like girls? #shameonya!." The tweet was quickly removed. Do you think the fight had anything to do with Rihanna? TMZ released a photo of WIP nightclub after the fight. Wow.